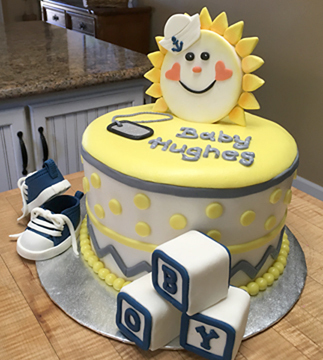 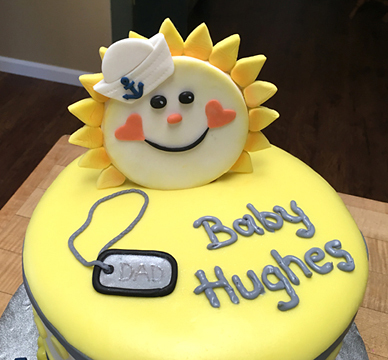 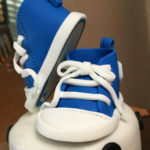 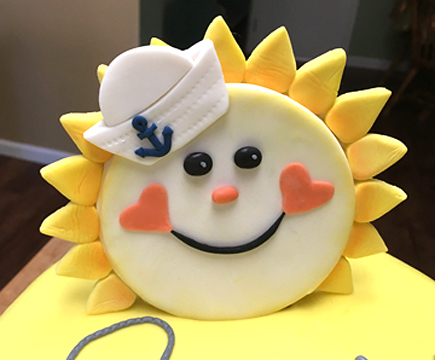 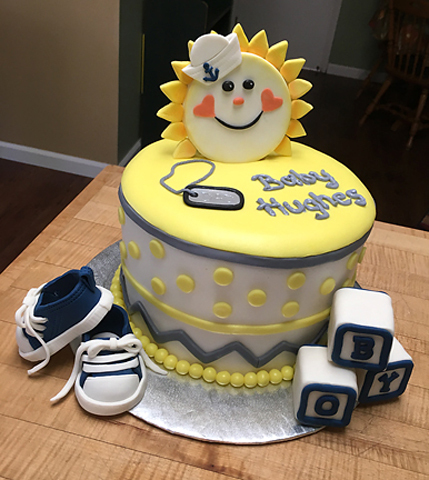 Bright and cheery baby shower cake with a nod to Sailor Dad! 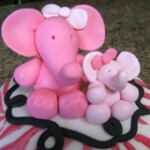 Wild pink prints and stuffed elephants. 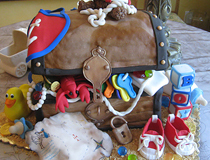 A treasure chest full of baby items for a pirate themed baby shower!